I offer a wide range of the latest non-surgical, anti-ageing facial treatments, as part of the holistic service provided to all my patients. 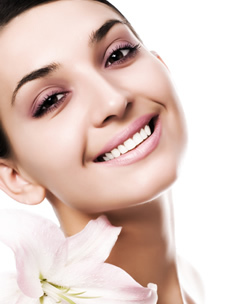 In many cases, a simple facial treatment is the perfect complement to orthodontics or a cosmetic dental treatment but you are also very welcome to visit me for a facial consultation at any time. Your consultation will start with a full analysis of the muscle activity in your face. In addition, I will take pictures of your face to establish its symmetry. Most importantly, I will listen very carefully to what you want, whether you’d like to look younger, or smooth away deep set lines and wrinkles, or simply enhance your appearance in some way. By gaining a thorough understanding of your face I can provide you with an individual treatment plan that will achieve the exact result you’re looking for, whilst improving your natural facial symmetry. By improving the balance of your facial features, I can enhance your overall appearance safely and quickly, without resorting to expensive surgical procedures.